he All Time Low Knit Blanket features the skull design pattern over a knit blanket. The band logo is printed in the center of the design. 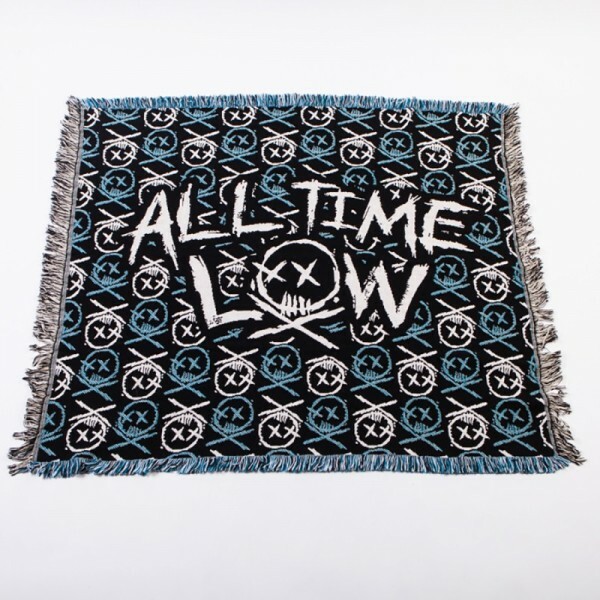 The blanket measures approximately 4 feet by 5.5. feet.